Much as our customers love classic buffet lunches with sandwiches, rolls, wraps, skewers, mini pies, quiches and other finger food...we are finding increasing demand for healthy and different catering options. So, what sort of food should you look at ordering if you are catering for health conscious guests? Typically healthy and nutrient rich with a balance of veggies and proteins, bowl food is described perfectly by Nigella Lawson in her book Simply Nigella: as "shorthand for food that is simultaneously soothing, bolstering, undemanding and sustaining." 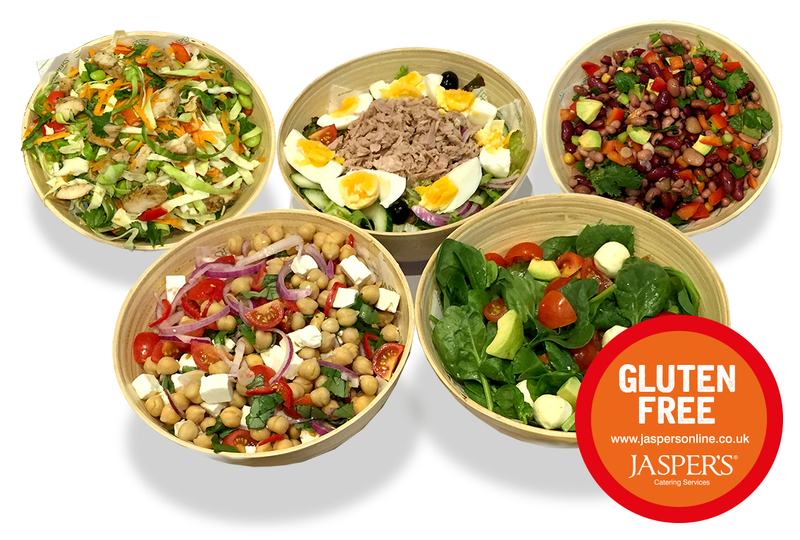 Jaspers has introduced five new bowls to its Bamboo range, all of which are gluten free. They are so nutritious, colourful, satisfying and vibrant that we call them The Incredibowls! Just order your Bamboo menu and mix and match any of the above bowls to it. Your guests will be blown away.